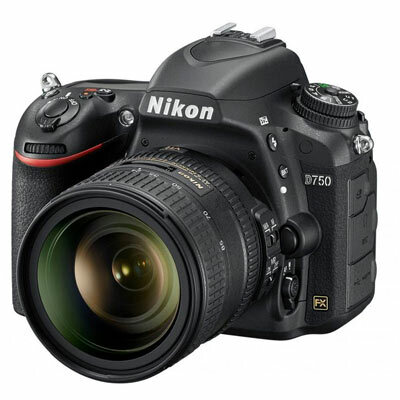 Should You Swap Your Nikon D750 for a Z6? The upgrade process for us DSLR users in the past was quite straightforward. We usually stuck to our known brand and we had the options of one of two models to do a sideways or step upgrade. Now we have mirrorless cameras thrown into the mix with tempting features such as lighter weight, cutting-edge functionality, and newfangled lenses. It’s always tempting to think that the very latest is also the very best, but as with all camera systems, the ideal camera body is really down to what you predominantly shoot, where, and how. If you’re in the Nikon camp, then the Z6 could be a very tempting sideways step into the mirrorless world, especially from a D750, but can these DSLR counterparts be as good or better? In this way, let’s have a look at the D750 and the Z6 to see how each covers the important features we look for in a camera. My first encounter with the mirrorless design was on a shoot where I was in charge of the stills and someone else covered video duties. They were using a Fujifilm mirrorless unit and said that they bought into it simply because of the weight saving factor. A full DSLR set up with a heavyweight lens was too much for them, so mirrorless was ideal, especially when shooting all day long. The weight saving side of mirrorless can’t be underestimated. Carrying 2kg+ of camera and gear all day long is like a workout, so any weight savings are a bonus. In the case of the Z6, total weight is 675g compared to the D750 at 840g. Not a huge amount of difference, but it may be important to some. Mirrorless camera bodies usually have smaller dimensions, which may feel like you don’t have as much grip as a DSLR, but this will depend on the size of your paws. Some prefer the smaller size, some don’t. Personally, the larger grip of the D750 is beneficial, especially when you’re slinging the camera around all day long. RAW files and resolution are on a par for both cameras. The Z6 is 24.5MP, with the D750 at 24.3MP. One advantage of the mirrorless is no shutter or mirror shock when ‘Electronic Front Curtain Shutter’ is enabled. Not just useful for getting sharper images and a higher hit rate, also for environments where you need to shoot and there needs to be complete silence – theatres, echoey rooms, divorce settlements…joke. One caveat that is thrown up by most DSLR users is the low light operation with mirrorless. Generalizing, autofocus in low light is still won by the D750 over the Z6. If you’re shooting nighttime scenes, music concerts and similar as a working photographer, you need your autofocus to lock in fast and not be hunting around – moments matter. The D750 is rated at 1EV more sensitive than the Z6 when using AF-S and the D750 is happy with smaller apertures in low light levels. 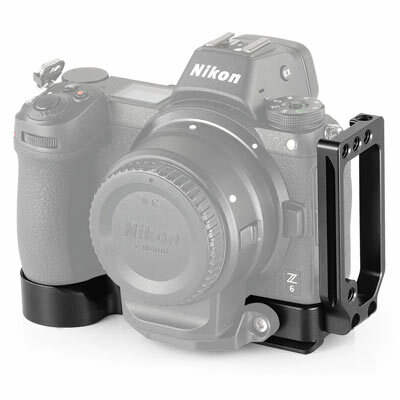 3D-Tracking autofocus on the D750 is exceptional and very easy to use. Press the AF-on button and your subject is tracked within the frame. Very simple. Conversely, The Z6 may have 273 AF points, with more frame coverage, but the tracking system is a more long-winded process, especially with an eye to the viewfinder. This means that the Z6 may have more autofocus coverage within the frame, but the D750 is a more instantly workable tool, with an arguably better dynamic range. It’s really down to speed of execution with autofocus, where the D750 still tips the scales. However, it’s also down to the application. If your subjects are static or you do have the time to click through a few options, the Z6 has equally good autofocus as the D750. If you’re primarily a video shooter, then this area is where the Z6 strides ahead. For starters, the D750 can only do 1080p, compared to the Z6 at 4K oversampled with no crop and 1080/120p for slow motion. In-body image stabilization on the Z6, which is not available on the D750 can be a lifesaver at times and especially good if you lens doesn’t have the facility. The LCD touchscreen of the Z6 is great for subject tracking and with other functionality like 10-bit log over HDMI, completely beats the D750 if video is your priority. The Z6 is a more capable and lighter package, being almost a no-brainer to use for video. What, No Nikkor AF-D Lenses? Going from one model version to a new one should be a given that all your lenses fit and work on the new camera body. However, Nikkor AF-D lenses use the camera’s internal focus motor rather than one housed in the lens for autofocus. The Z6 has no internal motor, thus rendering AF-D lenses redundant. Newer lenses with the F mount are fine on the Z6 with the F to Z adapter, with full autofocus functionality. As in most similar camera comparison tests, the final answer is, it depends on what you want to use it for. From a video point of view, the Z6 gives higher quality output, with more functionality, 90% AF point coverage and in a lighter weight package. The touchscreen works great with video, tapping the screen to select subjects and live exposure amongst other features are quickly accessible in live view. If you’re predominantly a stills shooter, the D750 will suit you best. It’s just simply faster to work with, especially with autofocus functionality and much better in low light conditions. The Z6 has in-body stabilization which is great, but if you already have stabilization in your lens, then this can cover most needs. The Z6 is also the most expensive of the two. Your own personal decision on which camera is best comes down to what you shoot the most. Once you have a tick list of your main shooting scenarios, the choice should be a lot easier.